Automatic. Excludes Sales Tax. Excludes $895 Lease Acquisition Fee, $141 Doc Fee with first payment due at signing. Calculated based on a 48 month term with 10k miles/year. Prices run on Stock #L18256 with MSRP $72,396. Model Code AM560. Expires 04/30/2019. 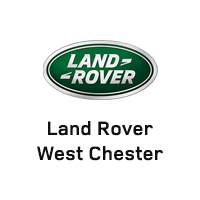 Land Rover West Chester has a great selection of pre-owned vehicles. As your family-owned and operated Land Rover dealership in West Chester, PA, Land Rover West Chester is happy to provide drivers in greater Philadelphia with a superior selection of top-of-the-line luxury SUVs. From the Range Rover to the Discovery Sport, you’ll find a lineup of SUVs that exceed the competition in terms of luxury styling, off-road performance, and advanced features. At our dealership, we’re happy to provide our clients with a superior buying and ownership experience that meets up to the highest standards of our discerning clientele. When you shop with us, you’ll enjoy personalized one-on-one help from our finance team, as well as access to low APR rates. If you’re looking to trade in your vehicle, you’ll get $1K over the asking price thanks to our $1K Legacy Trade-In Service, as well as our Best Value Guarantee that ensure we pay the difference if you find a better offer. We’ve hired a professional team of certified technicians to manage our Land Rover service department as well. If you buy from us, you’ll enjoy the West Chester Advantage, too: 24-hour roadside assistance, complimentary scheduled maintenance, car washes and cleanings, loaner vehicles, and state inspections all for free! Whether you need an oil change, a tire rotation, brake work, or even engine repairs, our team has the skills and expertise to keep your Land Rover in top running order for a long time to come. Our locally-owned and operated business is proud to be a part of the West Chester community, and we’re happy to serve our community with a superior selection of premium luxury SUVs. Make your way to see us Monday through Saturday at 1568 West Chester Pike in West Chester, PA, and reach out to us if we can be of any help. Learn more about the services we offer by visiting our Service Department page. Excellent service- every single time. Easy to work with- quick to schedule appointments for maintenance. Thorough communication throughout the appointment regarding your service. Lenny and Chip are always easy to work with. Love the car and the service department exceeds expectations.